Innovation Vouchers provide funding to businesses to work with knowledge providers – ie universities, colleges and technical institutes – to create or improve their products, services or processes. There are currently 39 registered knowledge providers in Northern Ireland and the Republic of Ireland. The vouchers allow you to access the skills and expertise of these providers for many different kinds of innovation projects. You can use vouchers to resolve a specific business issue, particularly if you don’t have the expertise, technology or facilities to deal with it. Applications open on Monday 17 September 2018. 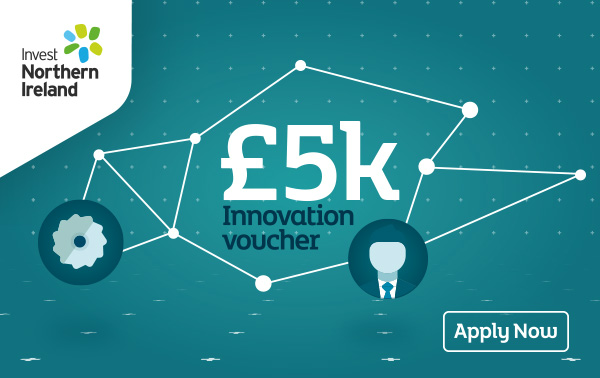 To apply for Innovation Vouchers, you should complete an online application form on the Invest NI website. Deadline for applications is 15:00 on Friday 5 October 2018.